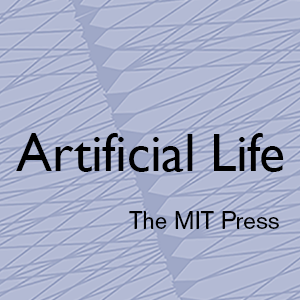 There is a growing acknowledgement in the artificial life and artificial intelligence community that cognitive systems cannot be understood and modelled if their embodiment is not taken into account . While there seems to be a consensus about the importance of embodiment, there is still no clear definition what embodiment of an agent actually is. One way to define the embodiment is to declare it as a layer that divides the brain from the environment. This layer can be considered as a two way filter between the brain and the external world. First, the embodiment filters the external world and determines how the brain perceives it. Second, the embodiment translates actions or motor commands emitted by the brain and expresses them as observable behaviours. This conceptual definition does not offer much more than the common sense understanding of embodiment, which is why we believe that a quantitative approach is important. This approach to understanding embodiment is motivated by Einstein's answer to the question "What is time? ", to which he replied "Time is what clocks measure". Although this seems to be a trivial answer, it reveals that what we mean by time depends on the way we measure it. There are already different approaches to quantify embodiment. Examples from the field of information theory have been developed by the authors of this proposal. The first approach quantifies the system's empowerment , which is the effect of the agent's action on its perception, and hence, on the world. The second example shows that different embodiments can produce different cognitive burdens for an agent, i.e. necessitate the processing of different amounts of relevant information . And finally, a approach quantifies morphological computation , which is the contribution of the embodiment to the agents behaviour. There are also approaches to quantifying embodiment from other fields. On example from the field of dynamical system is an estimation of morphological computation by measuring the attractor dimension of an embodied system in the sensorimotor loop . These examples are drawn from the field of embodied artificial intelligence, but we are open to concepts of embodiment and their quantifications also from other fields. The ideal outcome of the special session would be a good overview of different concepts and quantifications of embodiment and an understanding how they overlap and differ, thereby leading to a better understanding and a clearer picture of what embodiment actually is. Hauser, H., Ijspeert, A., Fuchslin, R. M., Pfeifer, R., and Maass, W. (2011). Towards a theoretical foundationmorphological computation with compliant bodies. Biological Cybernetics, 105:355-370. Pfeifer, R. and Bongard, J. C. (2006). How the Body Shapes the Way We Think. The MIT Press. Polani, D. (2011). An informational perspective on how the embodiment can relieve cognitive burden. In Artificial Life (ALIFE), 2011 IEEE Symposium on, pages 78-85. Salge, C., Glackin, C., and Polani, D. (2014). Changing the environment based on empowerment as intrinsic motivation. Entropy, 16(5):2789-2819. Zahedi, K. and Ay, N. (2013). Quantifying morphological computation. Entropy, 15(5):1887-1915. Please submit contributions using the standard submission instructions and select the appropriate special session when prompted.